While staying in Bergamo you are well placed to visit the great city of Milan, the capoluogo (most important city) in Lombardia. 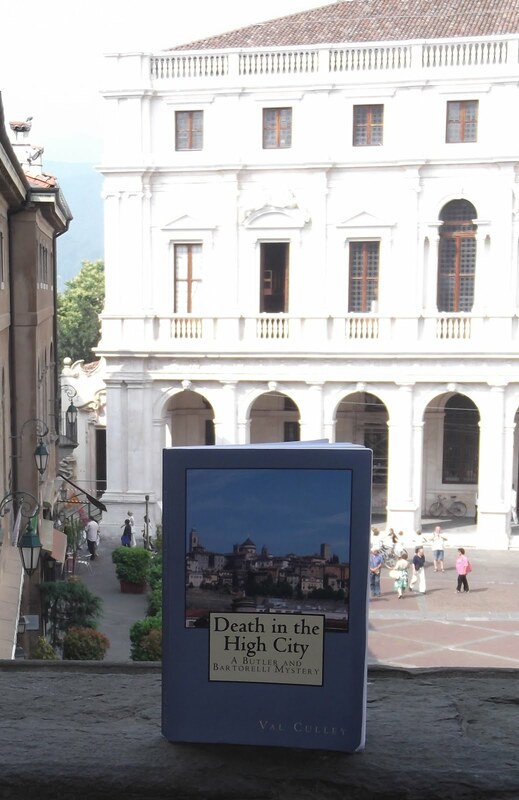 There is a train every hour from Bergamo’s railway station to the Stazione Centrale in Milan and the journey takes only about 50 minutes. 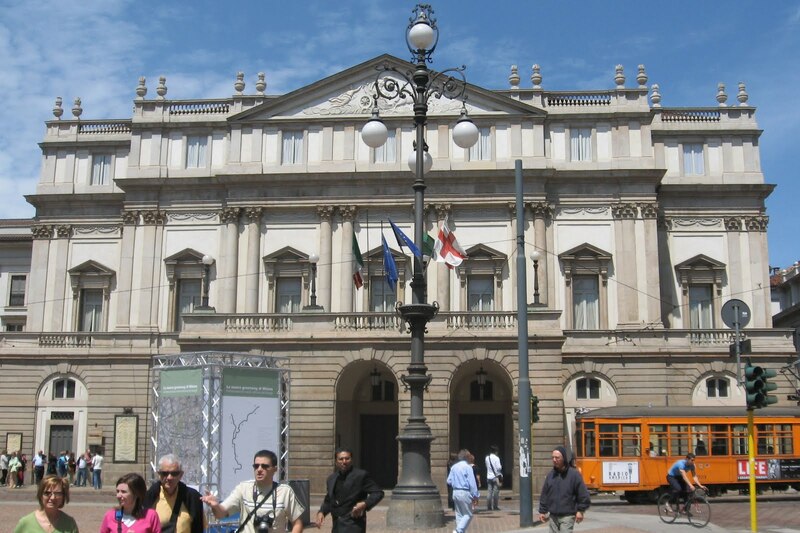 As well as being an important financial centre, Milan is a mecca for fashion shoppers and a magnet for opera lovers. Take the metro from the Stazione Centrale to Piazza Duomo in the centre of the city where you are bound to be impressed with the Duomo, which is the third largest cathedral in the world. Walk through the Galleria Vittorio Emanuele where there are elegant bars and restaurants and designer shops. 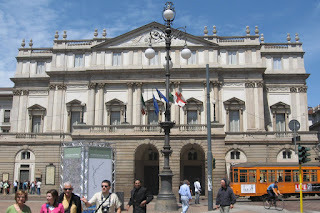 At the other end, Piazza della Scala is home to the world famous opera house, Teatro alla Scala (pictured below), where there is a fascinating museum with original costumes and scores and some items that belonged to the composer Giuseppe Verdi. You can walk along the Via Manzoni to see the Grand Hotel et de Milan where Verdi died in 1901. From there you can turn into Via Montenapoleone where the top Italian and international fashion designers have shops. Of course, you will not be able to see everything Milan has to offer in one day. You will have to book in advance if you want to see one of the most famous paintings in the world, Il Cenacolo -- The Last Supper -- by Leonardo da Vinci, which is in the refectory of the church of Santa Maria delle Grazie. You could head for the Brera district with its interesting shops and restaurants and visit one of Italy’s top art galleries, the Pinacoteca di Brera. Or, you could choose to look round the mighty Castello Sforzesco, which houses the last ever work by Michelangelo, the Rondanini Pieta. But do spare the time to sip a glass of wine and sample a typical Milanese dish, such as risotto alla milanese or cotoletta alla milanese at one of the city's many fine restaurants. This literally means ‘head place’ and is used to refer to the main town in each region, such as Milano in Lombardia, Firenze in Toscana or Napoli in Campania . Roma is the most important town in Lazio, but is also known as il capitale, as it is the capital city of Italy .